Vincenzo de Conti along with his wife & children settled down in South-West France in 1925. In 1956, his son Primo de Conti took over the family agricultural business with his wife Michelle, who looked after a couple of horses, and with his brother Albert. Luc, the 3rd generation, settled down at the farm in the early 80s following his passion for horses. 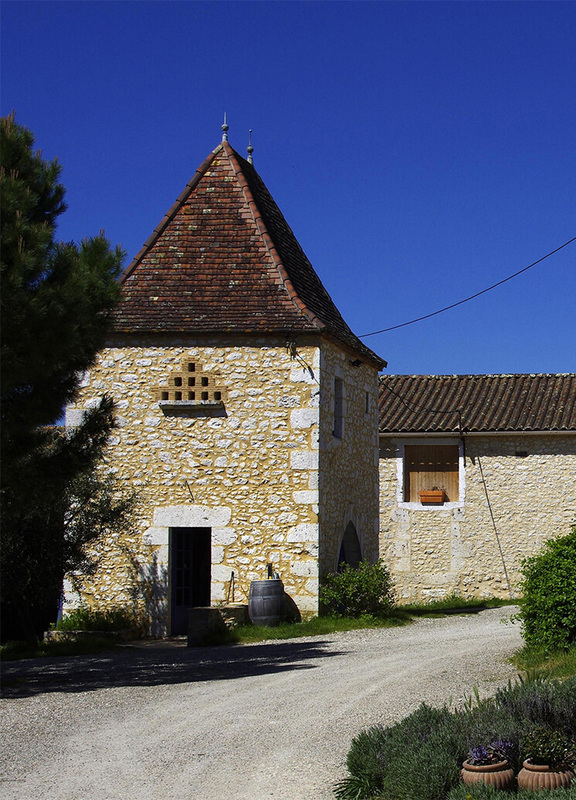 He inherited a number of old vines, and planted more plots later on, while his wife Martine started managing the receptive side of the business. His cousin Francis, with whom he grew up with in this large family, joined Luc, Martine & the business in 1990. He brought with him 20 hectares of vines planted in the Saint Julien d’Eymet and Grand Caillou areas, and took charge of the vines. « Natural epicureans, we’ve learnt how to organise ourselves well, in order to live pleasurably. In the 12th Century, the vineyard was known as Bridoire Castle’s vineyard, due to “Les Gendres” being situated on an ancient Gallo-Roman villa. As written in Féret’s 1903 work, Les Gendres was named after the old owner Mr Peyronny, son-in-law of Marquis Foucault de Lardimalie (owner of Bridoire Castle). After sadly being destroyed in the Phylloxera crisis in the early 19th Century, the vineyard now covers only a tenth of what it was originally. · 2014 First “no sulphites added” wines born; Pet’ Nat (natural sparkling white wine) and La Vigne d’Albert red. We are innovative and determined winemakers, passing on our savoir-faire actively. The personality and success of our wines is thanks to our authenticity and typicality… The Muscadelle à Petits Grains & the Malbec are historical Bergerac grape varieties, present in the Appellation for nearly a thousand years. We continue learning how to work with them naturally, through winemaking and blending, all the while reflecting on and doing something for our terroir and the environment. Since we started farming organically, we have learnt a lot about the nature, and we continue learning and trying new things with the new arrivals and generations… We are continuously evolving! Winemakers and farmers should relearn to have confidence in the nature – everything has been put into place to work perfectly naturally, without our help. The more we try to intervene through creating a ‘false’ balance and trying to manage everything all the time, the more danger and restrictions there will be for the nature in the long run. Putting an almost-dead soil on the drip cannot and will not be a long-term solution. On the other hand, the more we learn how to tolerate the threats of the nature, by adapting ourselves to it and not the opposite, the more the biodiversity will naturally balance things out, the more the soil will give us, meaning our wines will be more authentic, and more importantly letting us continue generation on generation with no end… This is our essential belief and motivation in this trade.